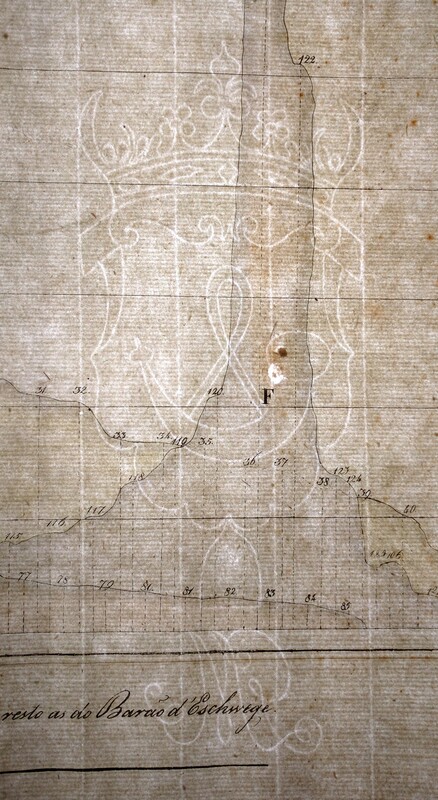 Imagine a beautifully engraved Victorian map painstakingly hand colored. Now imagine that map reduced to a tiny, grainy, poorly lit image. I strive to offer you high quality, large images for your viewing, downloading, and analysis if you wish. A reader recently suggested I share my photography process, so I am writing a meta post on my methodology. Over the past two plus years I have grown my technique and equipment for imaging my maps. Early on I snapped a picture with my phone or tablet, map laying on the floor, usually with my shadow falling squarely on the map and in poor light to begin with. I have gone through a trial and error period to reach a fairly effective, efficient, and reliable system. I have a copy stand that I built, but usually don’t use it due to set up and breakdown time. Instead, I typically use off the shelf equipment from Home Depot and Amazon, along with my Nexus 5X phone’s 12 MP camera. Two long wooden paperweights, each about 12 inches. My dining room table and two chairs. My phone’s 12 MP rear facing camera. I wipe down and the dry dining room table. 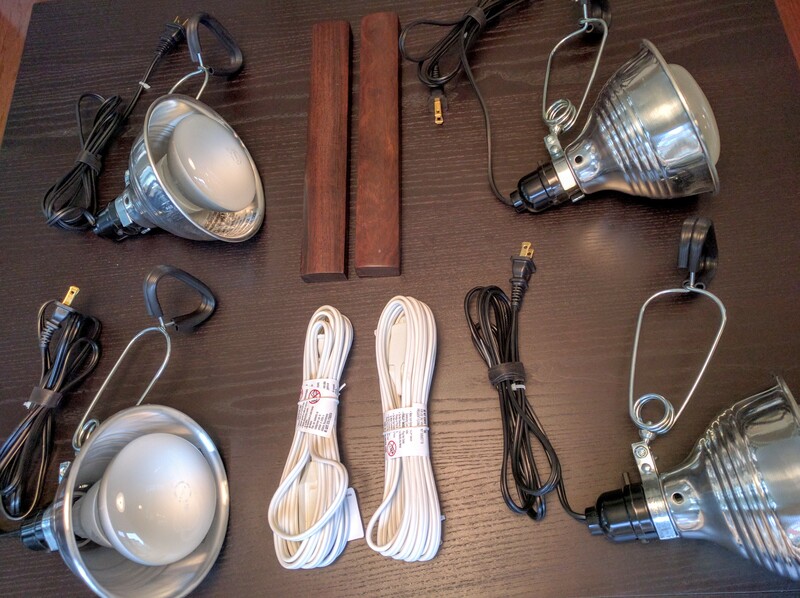 I clamp the lights to chairs, two lights per chair, one chair on each side of the table. I place the map on the table, handling it with washed hands and weighting the edges with the paperweights. I plug in and turn on the lights, positioning the chairs and angling the lights so as to evenly illuminate the map. I align the map in the phone’s screen so as to fill the screen, being mindful of keystoning and distortion, then snap a few pictures, as well as close-ups as needed. I repeat for other maps, then break down the setup. I upload my images to Google Photos. I click the pencil edit icon to get to the very easy to use editing tools (I’m sure more experienced photographers are shocked and appalled right now!). I rotate and crop the image as needed. There are four basic parameters which Google Photos allows to be manipulated: Light, Color, Pop, and Vignette. I leave Color and Vignette at their defaults. I punch Light up to about ¾ (from ½) and Pop up to ¼ (from nothing). I then save the image (the original remains in the background) and download to my computer. That’s it! I have gorgeous, high-resolution, ready to upload images in about 20 minutes. These techniques can be used for any type of antiquarian document, or for that matter, any document you wish to digitize, old or modern. I have on occasion experimented with the OCR capabilities of Google Docs. I once imaged a comparative with about 200 peaks; keying in the accompanying data table would have been excruciatingly tedious, so I used my phone to scan it to PDF. The result was good but not perfect. Comparatives were popular through most of the 19th century, published across western Europe, the United States, and later in Japan. Comparative views evolved constantly as new information became available, as publishers sought new ways to differentiate their atlases, and as new ideas in data visualization emerged. Whereas the works of European and American cartographers’ drove the changes in the genre, Humboldt, Bertuch, and Perthes were standouts as innovative German publishers of comparative views. 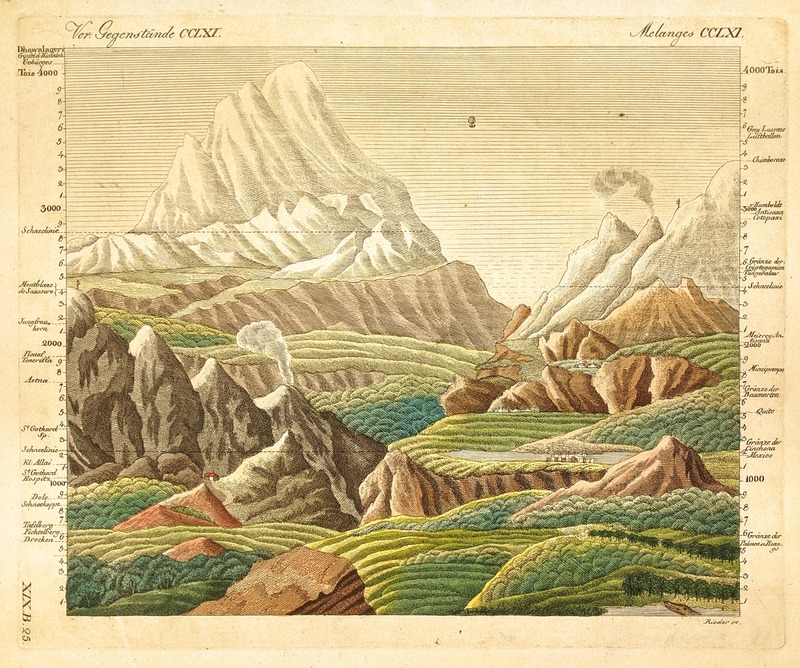 Alexander von Humboldt shook up scientific data presentation when, in 1805, he published Geographic der Pflanzen in den Tropenlandern, ein Naturgemalde der Anden documenting his findings from his exploration of Mount Chimborazo in present day Ecuador. It was unique in that it displayed information corresponding to altitudes in relative position on a cross-section of a map. In the margins of the graphic he further annotated observations of physical phenomena and their corresponding altitudes. 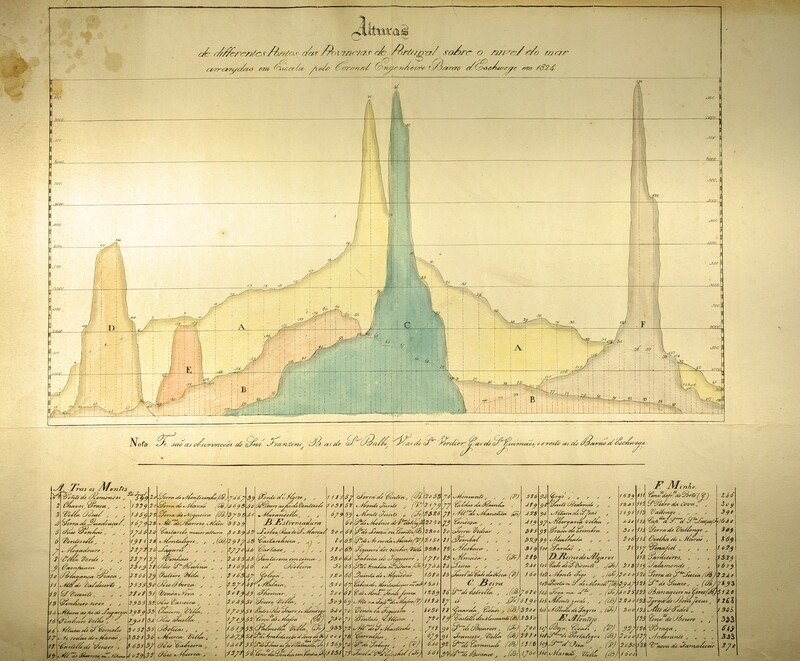 Where this style of visualization seems commonplace to 21st century information consumers, it was hardly such at the time; in the early 1800s visual display of data was in its infancy. Learning of Humboldt’s chart and inspired by Goethe, Friedrich Bertuch prepared his Hohen der Alten in about 1810, publishing it in his Bilderbuch, a children’s encyclopedic volume. That he published it at all, what he displayed, and that it appeared in a children’s book, are important facts. That he published it signifies the embrace of the Humboldt’s cross sectional style as a means of describing occurrences at various heights. His view took a landscape form, with mountains arranged as though viewed from afar, generally with the larger mountains to the sides and background of the image, but didn’t end there. Stick figures show Humboldt and de Suassure on Mounts Chimborazo and Blanc, respectively, a crocodile at sea level, and Gay-Lussac aloft on his record setting balloon flight. By going beyond just mountain heights to show human accomplishments, Bertuch both ties human scale and geologic scale, as well as uses the comparative as a device to showcase human accomplishment. 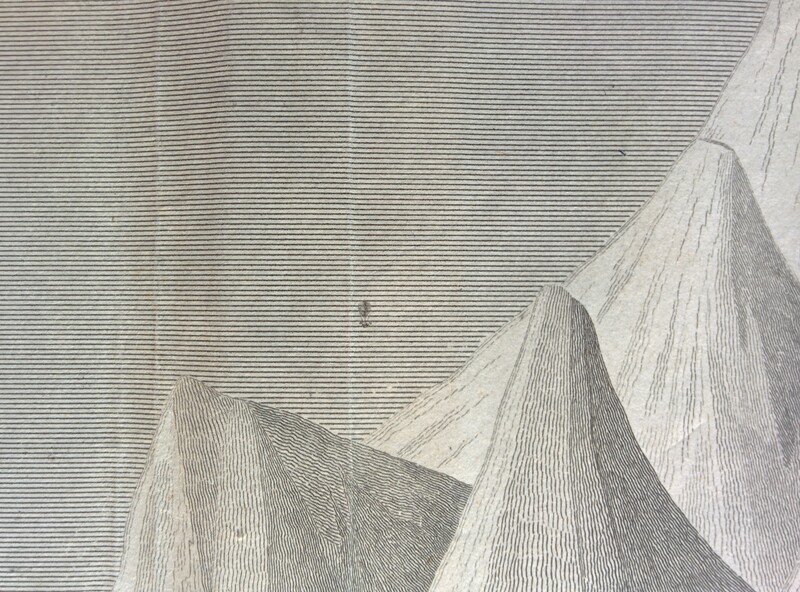 Plants and animals appearing on the comparative pull forward the thread that Humboldt wove whereby mountains are re-imagined as not just inert monoliths, but as parts of dynamic, living systems. By including his view in a children’s book, he recognized that this genre makes complex information accessible in a simple and easy to understand format. Die Benkannteren Hoehen uber der Meeres Flache in Transparenten Profilen by Perthes is unlike the other comparatives. Mountains comparatives typically show their subjects side by side in descending order or in an overlaid descending sort. 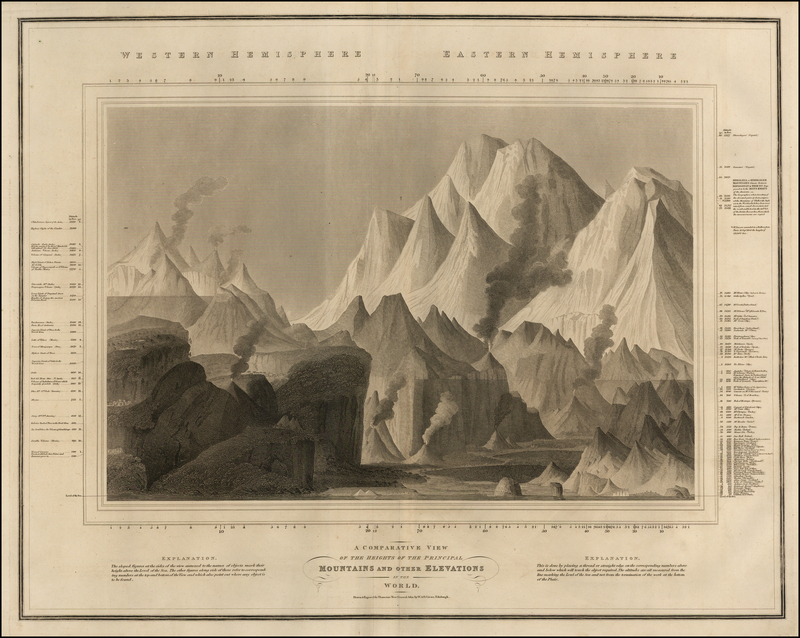 Perthes, on the other hand, shows the mountains overlaid in transparency so that one can see the contours of the mountains instead of them being obstructed by the mountains in the foreground, or reduced to conic figures. This innovation is noteworthy in that it signifies an interest in the entire mountain, rather than the peak in isolation. It also represented an innovation built on the line graph, placing geographic location on the x-axis. Interestingly, and perhaps because Perthes published this as the comparative genre was at its apex, this style of comparative never took hold. 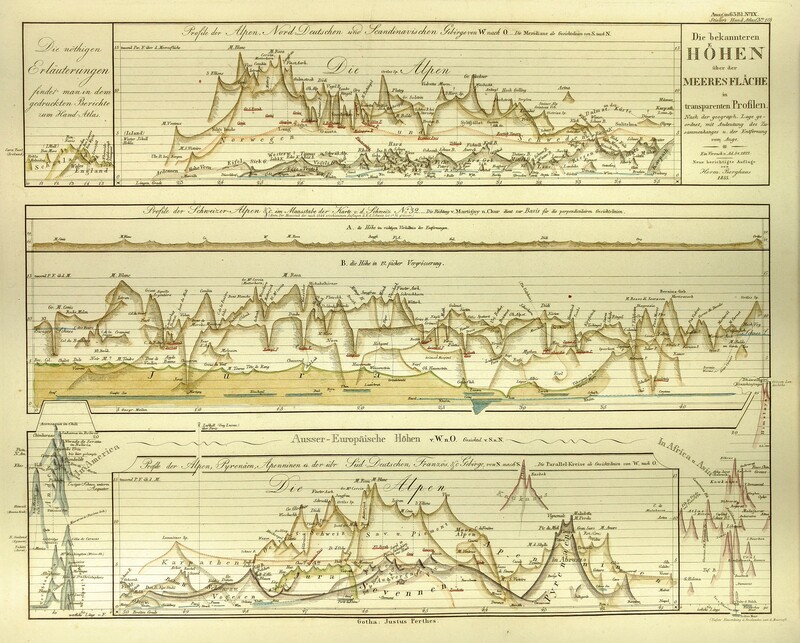 To be sure, these German cartographers (or scientist in Humboldt’s case) made great contributions to the comparative view as a style between inspiring, giving rise to, and redefining the charts. They by no means were the only innovators: Darton in 1823 produced the first compound comparative, showing both mountains and rivers in the same panel; the Society for the Diffusion of Useful Knowledge published a unique circular rivers comparative; and Mitchell was possibly the first to add comparative elements to globular projections. All told however, their pieces are testimony to the good work coming out of German cartography. I am pleased to add Mitchell’s 1860 The World in Hemispheres with Other Projections to my collection. 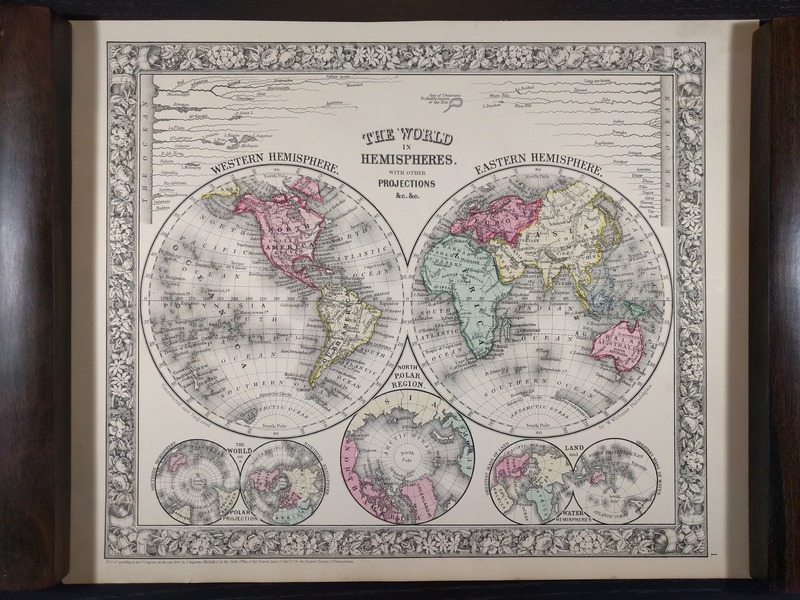 This is principally a globular projection but instead of the vignettes that would have adorned a 18th century map, additional views fill the corners: the upper left and right corners have comparatives of the rivers of the western and eastern hemispheres, respectively. Mitchell’s 1860 ‘The World in Hemispheres.’ Note comparative features in the upper corners (own work). The use of comparatives in lieu of vignettes was common among 19th century maps, and we can infer from these that comparative views were perceived as worthy cartographic endeavors rather than mere curiosities. Page space was valuable, as evidenced by cartographers’ efficient usage of it, and easily could have been filled with other insets: select countries or cities, climate zones, or vegetation and animal life by region of the globe. Perhaps it was their role in commerce that made rivers an appealing feature to include; perhaps it was because many rivers were still being charted. What ever the reasons may be, they are beyond the scope of this analysis. Instead, I’ll draw your attention to the orientation of the rivers. All western hemisphere rivers are depicted as emptying west to some sea off the left coast–the pacific ocean. Of course this is not accurate–although characteristic of comparatives, which took a vastly reductionist approach to compare the features by a single attribute–the Mississippi drains south into the Gulf of Mexico, the Amazon northeasterly into the Atlantic, the Potomac southeasterly into the Atlantic, and the Colorado south to the Sea of Cortez. The St Lawrence, subject of this analysis, flows east to the Atlantic. 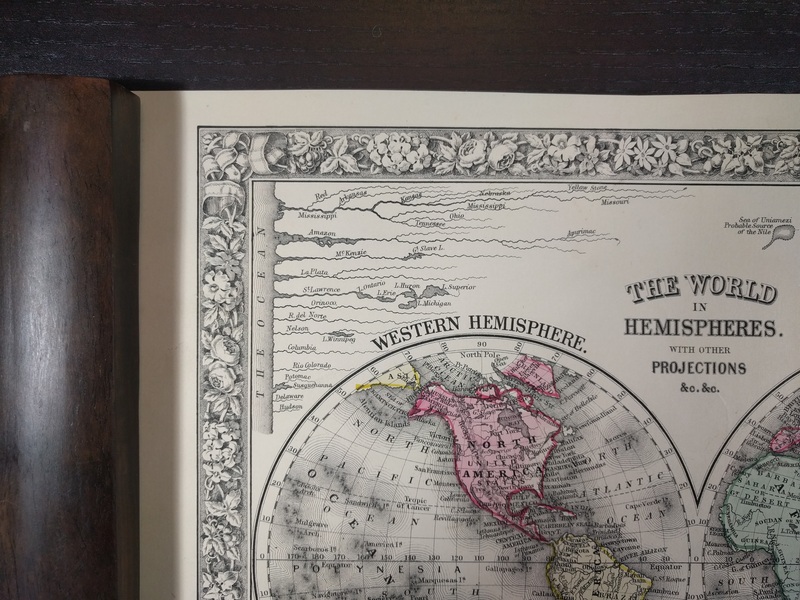 Comparative detail of Mitchell’s 1860 ‘The World in Hemispheres’. Note the Great Lakes on the St Lawrence (own work). Looking closely at the St Lawrence, the Great Lakes are in the reverse order; the eastern most lake, Lake Ontario, is shown as though it’s the western most, and vice versa for Lake Superior. While these are out of geographical order (geographical order is not expected in a comparative, generally speaking), this reordering keeps them in relative order vis-a-vis the mouth of the river. But the cartographers took this reordering a step further, not only did they flip the order of the lakes, they also flipped the shapes of the lakes, engraving their mirror images. Looking closely at Lake Michigan, it’s characteristic bean shape is shown curving in the opposite direction. 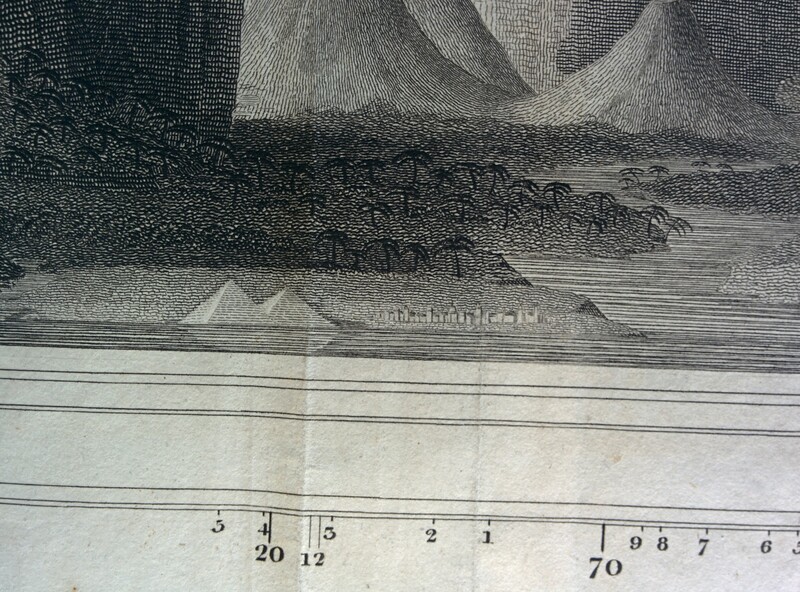 Reflected Great Lakes detail of Mitchell’s 1860 ‘The World in Hemispheres’ (own work). The decision to flip the lakes’ shapes offers some important clues into the Mitchell’s purpose. First off, reflecting the images around the vertical axis shows that he intended to make the image as truthful as possible. It signals to the reader that he did not make a mistake in showing the flow of the river–that a cartographer would flip the direction of the river and the orientation of the lakes–is hardly parsimonious. Moreover, the Great Lakes are perhaps the most important aspect of the St Lawrence for its economic and transportation functions. The river, thanks to some canals, and more recently a system of locks and canals, affords the outputs of the midwest industrial infrastructure, including that of Chicago, as well as western Pennsylvania and New York, cheap access to the Atlantic. To that end, the reflection of the lakes assists the reader in locating the major industrial hubs on the lakes: Chicago, Erie, Buffalo, etc. A quick flip of the image in Pixlr reveals that the lakes are mirrored correctly. The quirky illustration of the Great Lakes underscores the ingenuity of 19th century cartographers, skill of engravers, and their efforts to make comparative views valuable and useful to their readers. I am happy to have purchased this map from Brian DiMambro. Previously I credited Humboldt with kicking off the discipline of the comparative. This is true, but the first cartographers to run with the idea were Thomson and Lizars. Thomson and Lizars A Comparative View. Published in 1817, is the first of the comparatives. A lovely mountainscape. Photo credit: Ruderman. Their A Comparative View of the Heights of the Principal Mountains and Other Elevations in the World is just that: a gorgeous view of a mountain landscape. I use view in this context to mean a picturesque scene (think Hudson River School) rather than the more ‘technical‘ presentation that emerged later. That all the features to be compared are shown in a single panel is important. Whereas these were western cartographers, the European mountain ranges are diminutive compared to those of Asia. 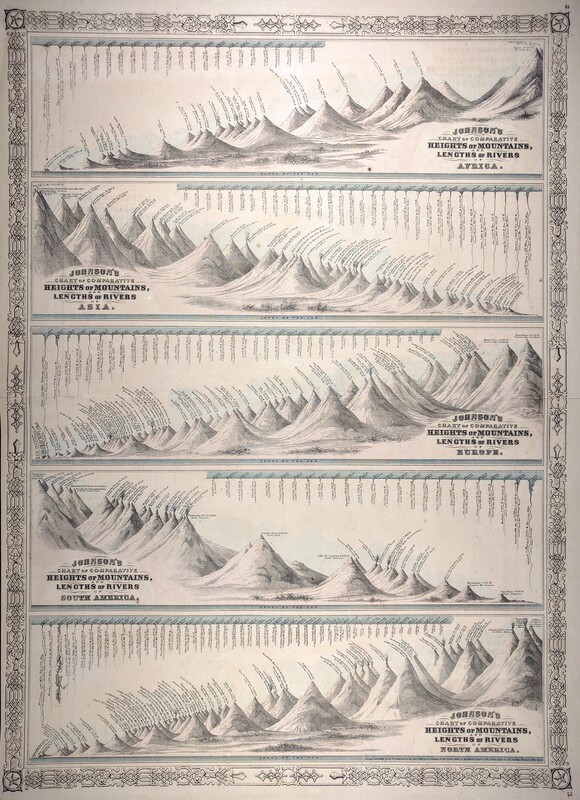 In subsequent comparatives the mountains of each of the eastern and western hemispheres are shown in separate panels, even separate pages, and in the technical presentation; some of the later comparatives even show them in distinct panels by continent. Grouping the peaks in a single view invites intercontinental comparison that separate panels or pages discourage. Moreover, a single view prevents the cartographer from using differing scales that might ‘puff up’ the appearance of the European or New World ranges. This is again treated here, as well. In this sense, while it is completely false to show the world’s major peaks (save those, like Everest, which hadn’t been measured) within thousands of feet of each other, use of a uniform scale allows Thomson and Lizars to stake a claim to one of the most accurate comparatives. Thomson and Lizars also establish the standard among comparatives of including man’s accomplishments as points of reference in addition to those of the natural world. The first feat of man, in the chronological order in which they occurred, to be shown in this view are cities themselves. Uruk, one of the earliest cities, was formed about 4500 BCE. The capacity to build cities being one of the defining criteria of a civilization, that these are shown is both a statement that man is different from the rest of the natural world, and that we are able to conquer the extreme elements of life at altitude. The Great Pyramids and Paris as shown on Thomson & Lizars’ A Comparative View. Own work. The Great Pyramids follow as the next landmark, in both geographic and engineering senses. They show a mastery of tools and materials, written language, burial of the dead, and religion. All traits that separate humans from other animals (or are perceived to separate us, as evidence has emerged that other species use tools and bury their dead). Humboldt’s South American expedition is the next accomplishment featured. In 1799 he set off from Spain on a 5 year exploration of Latin America. A scientist, his travels generated much knowledge, and his presentation of his geological and biological findings in Geography of Plants set the stage for this comparative, where he is shown climbing Chimborazo, the subject of the aforementioned. Humboldt’s ascent is evidence of the recent shift to a scientific mindset during the Enlightenment. In this way, man conquered his own naivety. 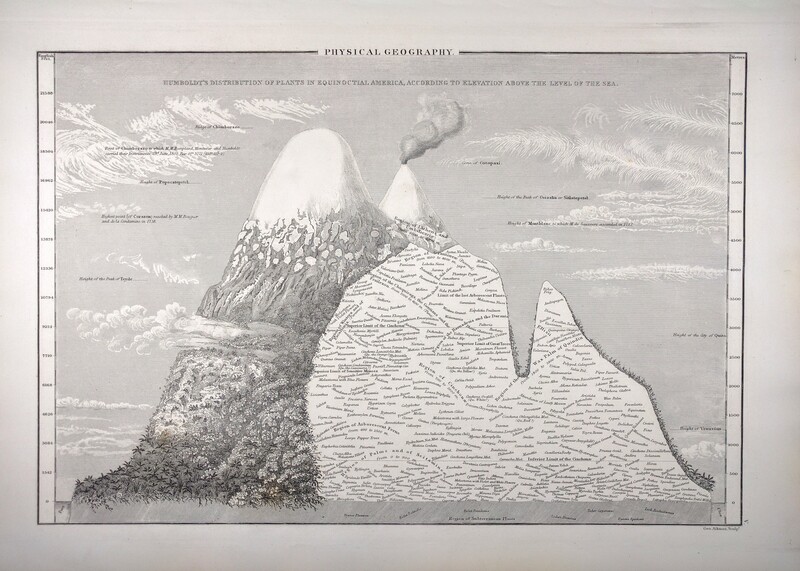 Humboldt’s ascent of Chimborazo as shown on Thomson & Lizars’ A Comparative View. Own work. 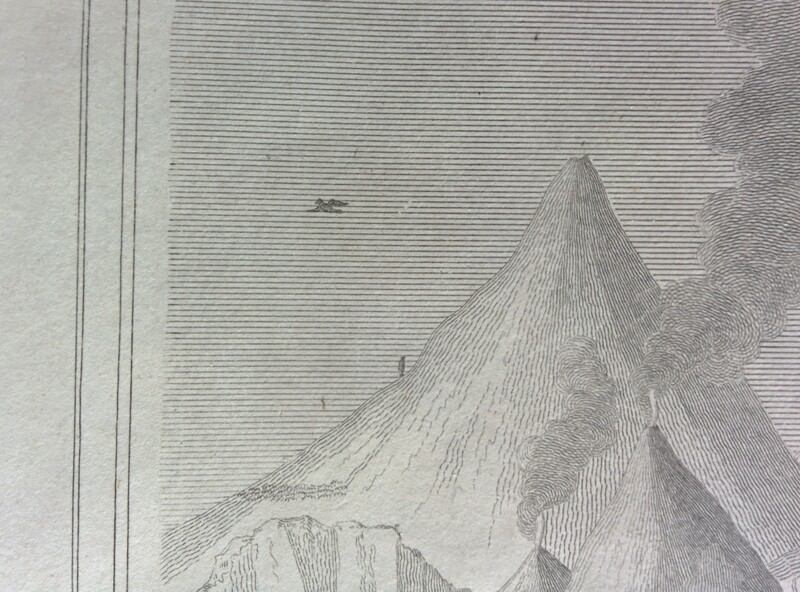 Gay-Lussac’s historic balloon flight of 1804 is recognized at the center of the view, and as higher than the flight of the condor. I won’t say more about this, other than it’s remarkable that he pulled it off, as I will cover it in a subsequent post. Gay-Lussac’s 1804 balloon flight as shown on Thomson and Lizars’ A Comparative View. Own work. Thomson and Lizars’ comparative is a masterpiece both for its beauty, accuracy, and the arguments about human accomplishments it presents. Check out this Christie’s guide to map collecting. Basic, worth a skim.